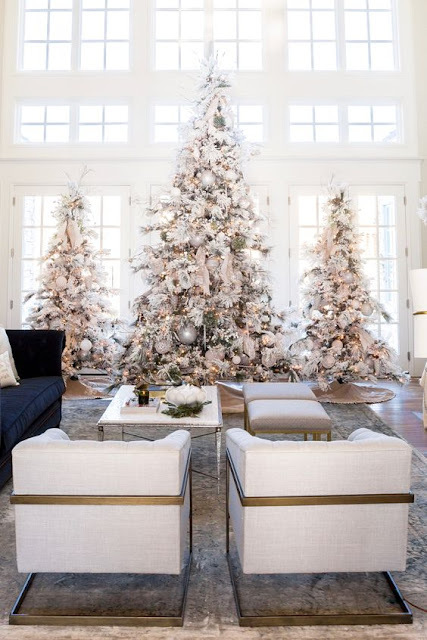 I wonder what my family would say if I told them we needed three Christmas trees this year like in the incredible room above" Last year we had two, but not in he same room. Something tells me it might not fly. I do think I could convince them of an all-white Christmas. Maybe. I've always wanted to do it, but the ornaments the kids made are beautiful and colorful and I can't live without them, so there's that. Enjoy!